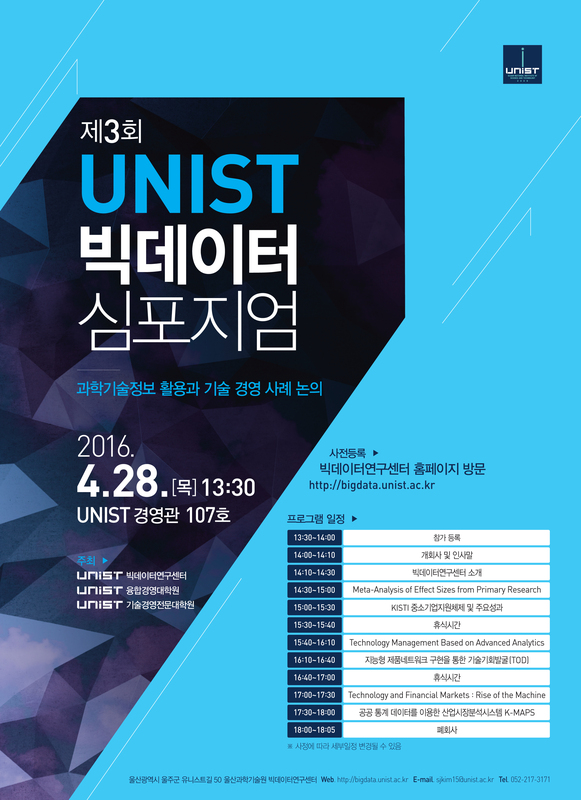 The 3rd UNIST Symposium on Big Data and Analytics was held on the 28th of April, 2015 at UNIST. 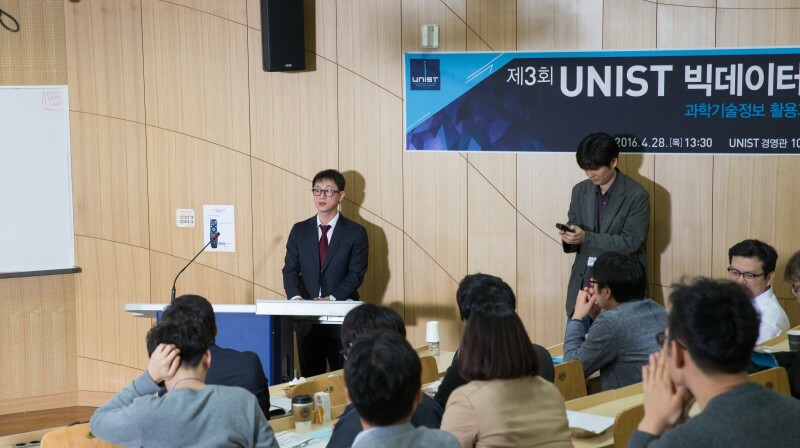 In the afternoon of April 28th, UNIST held its 3rd Symposium on Big Data and Analytics, inviting researchers from Korea Institute of Science and Technology Information (KISTI). This symposium, entitled “Information Analytics on Science and Technology and Technology Management” welcomes scientific contribution dealing with Big Data to advance core scientific and technological means of managing, analyzing, visualizing, and extracting useful information from large and diverse data sets. The symposium featured a number of advanced keynote talks by both organizations. Director Changyong Lee of UNIST Big Data Center delievered a presentation on “Establishment of Technology Strategies based on Big Data Analysis”. 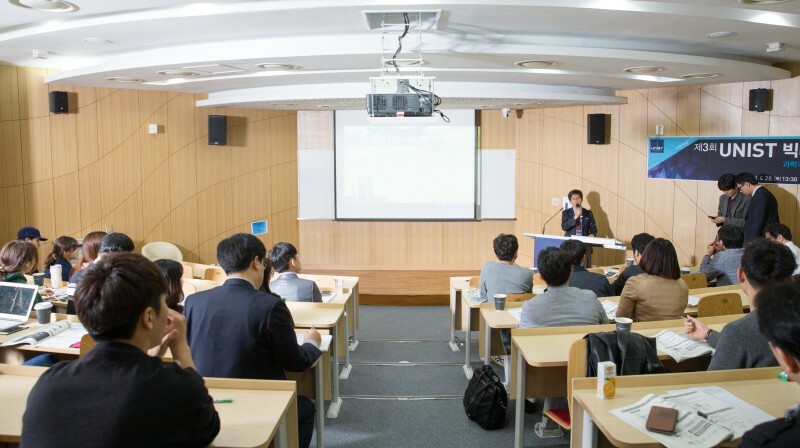 Prof. Yeo Lib Kim (School of Business Administration) of UNIST presented “Analyzing Effect Sizes, Using the Meta-analysis Method” and Prof. Daejin Kim (School of Business Administration) “Technological Development and Changes in the Financial Markets”. At the symposium, both organizations also promised to sign a memorandum of understanding at UNIST on the following Friday, April 29, 2016.